New stock files for POS software users | A blog about smart POS software for independent small businesses. Man it’s hard to keep a secret in a business like ours. Not a secret from others in our business but a secret from the small business retail marketplaces in which we serve with our Point of Sale software. We need to keep secrets from time to time to help us leverage the competitive advantage of being first to market with a product, service, new facility or some other thing. We’re not a software company that says we were first with something when we were not. We are also not a software company that announces something it does not deliver. Right now, we have several genuinely innovative announcements we are sitting on. On one case we want to see the beta release program through while in another we are completing packaging and some other external service. It’s hard, though, sitting very exciting announcements that will deliver extraordinary value to our small business retailer customers. We will make the announcements when we are ready to deliver access for everyone. In other words, these announcements will be made the moment we are setup to deliver. Anyone can send out a press release. It takes commitment, co-ordination and hard work to ensure that the words are backed by valued action. But we’re excited to tell the world as a couple of the announcements are game-changes. No, seriously, they are. They are big picture moves by our small software company for our small business customers … moves that will help our customers make more money and enjoy their businesses more. Yeah, that sounds like marketing soon. It’s not. Just wait and see. We are serious about delivering extra value to our customers and we have two ways we’re going to do that very soon. Following extraordinary engagement with our free online training workshops through february by retailers using our Point of Sale software, we have introduced new topics for March. In less than a week of the new topics being announced, many sessions were close to filling. Our response is to schedule more. Our customers love our online training, especially that the sessions are live and interactive. They are also loving the WebEx platform we use … oh, and that access is free. This list of new topics and the training delivered in february speaks to our commitment to helping our customers achieve more through their software. We are ensuring that our actions speak louder than our words. Garden centres, nurseries and other businesses used to the POSIMS garden centre software are thrilled with the latest innovation from the Tower Systems garden centre and nursery management software … innovation drawn initially from the company’s experience in acquiring the POSIMS business last year. The very latest software update, now in beta release, delivers even facilities beyond the POSIMS software, facilities taking garden centre management and retail into a new realm and a place of enjoyment for employees and financial reward for business owners. Since acquiring the POSIMS business, plenty of POSIMS users have migrated to the Windows based Tower platform. From guiding employee performance through to underpinning good management decisions, the Tower garden centre software cultivates business data to guide decisions, efficiency and performance. regularly enhanced in consultation with garden centres, this Australian software is build to help garden centre and nursery businesses prosper. Through Summer we have been hearing stories of wonderful sales success in garden centres. We are grateful that own four retail businesses in which we can play with our POS software, in advance of distribution of our beta pool customers. Having our own different retail businesses in which to play is a commercially valuable point of difference for us, one we exploit to deliver better software to our customers. For some weeks now we have been playing with new software designed to provide our retail customers with a fresh competitive advantage. We are able to play and tweak, ensuring that what we ultimately deliver is technical, operationally and business bottom-line superior. Our experience in owning retail businesses for seventeen years is that testing first in our own businesses is bette than relying on the beta release pool of customers. We are all setup and ready to roll for the Home and Giving Fair in Sydney starting from today. As the IT partner of the AGHA, the industry association organisers of the fair, we are well situated and pre-promoted to make the most of the opportunity. This is an excellent trade show for us since we get to see owners of gift shops, homewares stores, jewellers, garden centres, newsagents and other businesses. 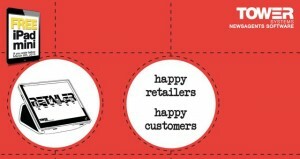 We have specialist software for each of these retail channels. Our stand at the fair will feature business experts who can help attendees see that while we sell specialist software, our real sell is the business help we provide – to leverage the software into more customers through the door, a deeper basket from customers and a bottom line for the business that makes it more valuable to the owners. This trade show, this year, is all about business value. 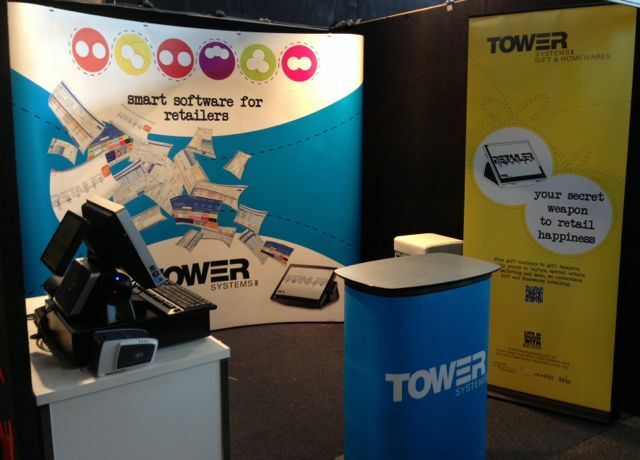 Tower Systems is pumped and ready to help its customers and prospects in the gift and homewares spaces to have a terrific 2013. If you are at the Home and Giving fair – stop by and say g’day. 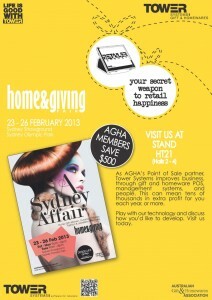 Tower Systems will be showing off new Gift Shop Software at the AGHA Home & Giving trade show in Sydney from tomorrow. Our new software is ready, our trade show stand built, our product specialists all booked and new marketing collateral printed. We are ready for an exciting show, one where we get to meet plenty of users and make new friends. This year we will have some extra special news for those who pass by our stand. Something we have not even forecast – until this blog post. From the pre-show marketing collateral (click on the image for details) through to the trade show booth itself, our participation in Home & Giving reflects our professionalism, attention to detail and care for tangible customer (user) outcomes. While media coverage talks up the online versus high street battle and favours online in coverage, smart bike retailers are using rd bike shop software to compete with online. By leveraging in-store knowledge, experience and personal service, a high street bike shop can convert a browser into a shopper. The keys are attention to detail, memorable personal service and a value proposition. This is where good bike shop software implemented professionally can help. It can also help drive operational efficiency and thereby give the business the financial means to be competitive. For years Tower Systems has offered retailers using our Point of Sale software a free Backup Check service. We ask for a backup which we then load and test, to ensure that data is being properly backed up. Experience has shown us that we are more likely to uncover a backup problem or deficiency by testing it ourselves than telling our customers how to do it. By being a proactive part of the process and offering the service for free, we demonstrate to our customers a level of care and attention to service that is appreciated. This is another example of point of difference customer service we offer retailers using our software. We will return backups once checked – along with feedback on our check results. With more retailers using our Adult Shop software, we are developing a good pool of customers as well as wholesalers who can work together to build both sides of business and boost retail customer support in turn. Adult shops are, to us, another retail business with specialist needs, needs we have been able to serve in our comprehensive software for the good of the specialist retail channel. We are meeting some excellent business operators, some excellent, best practice, retailers. It’s wonderful to connect with these folks and learn from their experience and success. In each retail channel we serve unique challenges and in doing so learn more about retail that we can share with other retail channels. This makes our software stronger and more useful. 2013 is off to a great start with our adult shop customers! Distribution newsagents are coming to realise the scale of change to their businesses as a result of the News Limited T2020 restructuring of newspapers in Australia. Tower Systems has been across T2020 since its inception in part because of our market share – more newsagents use our newsagency software than all other software products in the marketplace combined. Years ago we promised newsagents that we would walk the part of restructuring with them and we continue to do that today. We are connected to various suppliers, experts in the field and newsagents of all sizes. each week sees progress in the form of software enhancements, supplier discussions or newsagent discussions. Whether it is a group of newsagents working together to amalgamate or working with a larger network to contract out services, we are part of the process. Newsagents using our newspaper distribution software have an advantage thanks to our activity on a variety of fronts. we will ensure that this continues as T2020 rolls down the Eastern Seaboard. 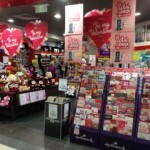 Tower Systems has today released the latest newsagency sales benchmark study results comparing October – December 2012 with 2011. This latest study involved transaction level sales basket data from more than 150 businesses across the two three month periods. The result is best-practice analysis of the performance of newsagency businesses between the two periods. Participating newsagents using our newsagency software have been emailed the results. Tower Systems undertakes this benchmark study for the benefit of all newsagents and their suppliers. The new live online training workshops we launched earlier this year from retailers using our Point of Sale software continue to draw excellent numbers and meaningful engagement. As the screenshot shows, we have sessions booked out well in advance. We continue to add more sessions to serve demand. These online workshops continue to be a valuable point of difference for us. For years now we have led in our respective marketplaces in the delivery of free training opportunities. It’s easy to announce that you do this and considerable harder to deliver. We’re proud to deliver. We will soon announce our March program. We are frustrated with the time it is taking to get over the impact of the recent Queensland floods. Our Brisbane switchboard was seriously damaged and we have been chasing rectification ever since. With the volume of damage caused by the floods we’re in a queue. We have chased a temporary solution to no avail. Our interim solution is that Queensland customers call our national number or they email us and we return their call. While we continue to deliver excellent service, it’s frustrating to have to deal with such an infrastructure failure. Tower Systems early this month launched a Happy retailers … happy customers campaign, promoting the joy and commercial pleasure that can come from using good POS software to its fullest in a small and independent retail businesses like bike shops, jewellers, gift shops, homewares stores, adult shops, newsagents, garden centres, nurseries and gun shops. Our core focus as a company is on small and independent retail businesses. We love dealing direct with the owner and enjoy a direct connection. This is rare when dealing with bigger businesses like retail chains. The core message of our Happy retailers … happy customers campaign is optimism, optimism about retail and about small and independent retail in particular. Every day we see wonderful success stories. Thanks to our retail community connections we can share these, to help more businesses share the optimism and chase growth. While we are only a couple of weeks in, this campaign has gained excellent support with prospects across a range of marketplaces growing. Tower Systems will be showing off new Gift Shop Software at the AGHA Home & Giving trade show in Sydney at the end of this month. Our new software is ready, our trade show stand designed, our product specialists all booked and new marketing collateral printed. We are ready for an exciting show, one where we get to meet plenty of users and make new friends. We understand the importance of easy access to Point of Sale software support. This is why we provide multiple entry points and a documented and respected escalation process. There is no better indication of us standing behind our software and support than the publishing of direct contact details for our company owner. This shows we mean business. Here are our support contact details – including local numbers customers are welcome to call – we switch the call to where we have people available to deal with the query. Monday to Friday: 7 am – 6 pm 03 9524 8000. – Sydney: 02 9525 6444 Mon-Fri.
– Brisbane: 07 3136 6888 Mon-Fri.
– Perth: 08 6317 0207 Mon-Fri.
– Adelaide: 08 8121 3366 Mon-Fri.
Email: support@towersystems.com.au Emails responded between 8am and 5 pm Monday to Friday. For questions suited to email answers only. SUPPORT ESCALATION PROCEDURE: Our help desk is always your first port of call. If you are unhappy with progress please escalate to our Customer Service Manager. 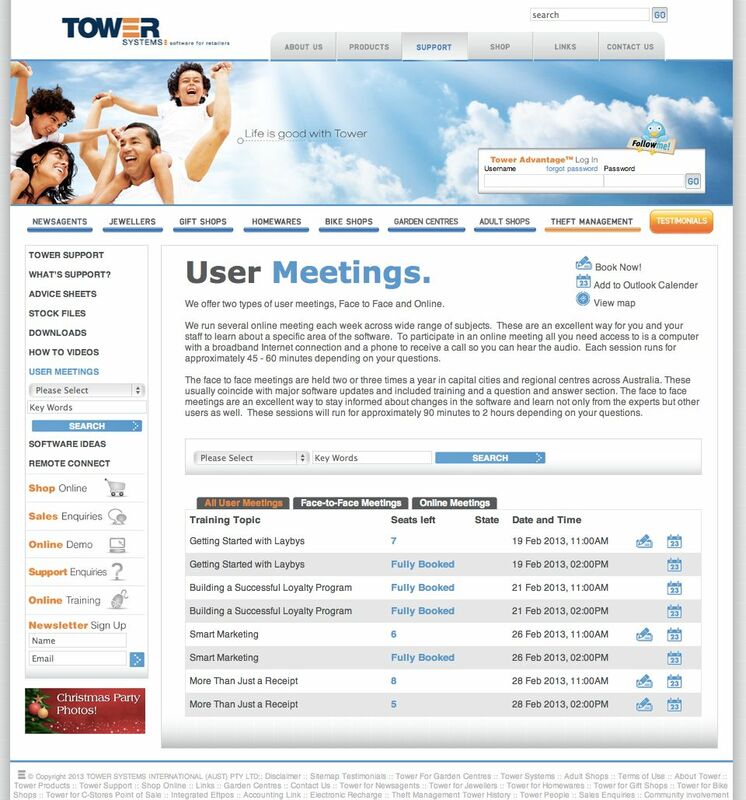 If you are unhappy with their response please contact our COO, Gavin Williams gavinw@towersystems.com.au or our CEO: Mark Fletcher 0418 321 338 mark@towersystems.com.au. Footnote: we don’t use an automated phone system. We prefer to provide human access for directing your call. Our Tower Systems theft check service has uncovered more employee theft. This time in a couple of retail businesses using our Point of Sale software. In each case, the theft detected is considerable. The evidence we have provided is police ready. This is important. We have police assistance and court expert witness experience and this helps us to better help our retail customers to deal with the scourge of retail employee theft. The sites testing our latest garden centre software are providing excellent feedback on a major new facility we have released. Having clients prepared to be guinea pigs for live testing of completely new software functions is a treat we love, it helps us to deliver better software to our broader client community. Our current plan is to continue beta testing and tweaking for another tow or three weeks – prior to broader commercial release. We take all software updates seriously, ensuring that they work well in marketplace, in beta test sites, prior to broader release. With many garden centres and nurseries now using our software it is appreciated that we take time to ensure value and stability in our software updates. We are thrilled to have completed the installation of our Point of Sale software in a major national wholesaler serving retailers in one of our specialist retail marketplaces. This installation was complex because of the specific needs of the wholesale business, needs we have met through professional software enhancements developed closely with the wholesaler. Some software enhancements were to serve their specific needs while others will benefits other businesses using our software. The result is a good business solution for the wholesaler as well as a better connection between the wholesaler and the many retailers they serve. As a result, we are now even better able to serve the retailers in this specialised retail marketplace. This is another competitive advantage for Tower Systems, one we are embracing. While mainstream media outlets appear to enjoy reporting difficult times for retailers, Tower Systems is pleased to report a good start to 2013. Retailers are investing in their businesses. Sales of our Point of Sale software are good across a range of marketplaces. It’s a broad range of engagement that helps us to understand the state of retail, small business retail actually, in Australia. Our experience and perspective differs with the negative press of the last week. We can only put this down to our relentless focus on small and independent retailers, a sector of retail often overlooked in sales data and other KPIs reported in such reports on the state of retail. Small and independent retailers, especially those well rounded in their local communities, continue to do well. The current tax breaks from the federal government help focus attention on the POS software opportunities. The new online Point of Sale software training workshops launched for 2013 last week have been a terrific success. We hosted four sessions and customer feedback has been excellent. They love the delivery platform, that access is free, that the content is relevant and that they can easily interact. 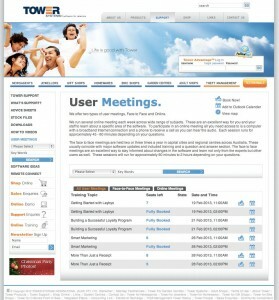 Tower Systems proudly leads in the delivery of access to live, understandable and free training for retailers. We are especially thrilled that we have been able to deliver, on time, new content this year … making our online training workshop program even more valuable for retailers using our software. Delivering help like this to small business retailers is important to our mission to help this end of the retail space to gain more value from IT. Indeed, in the online training area, actions speak louder than words. 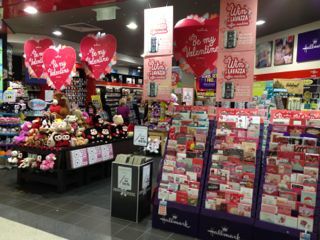 We were in a newsagency channel forum recently where some of the participants got to talking about newsagency software. It was a thrill hearing our customers who had switched from other newsagency software speak glowing about our software and even more glowingly about our customer service. Hearing unsolicited public endorsement of our product and services was a real joy and a reminder of the value of good newsagency software backed by friendly and professional customer service. Newsagents who have used another computer system before switching to us often become our best advertisements. We are thrilled to have released for live beta use a major update to our Point of Sale software. This update contains a new function that will help our small and independent retail business partners to build more valuable businesses. We are delivering to retailers an tremendously valuable marketing tool they will be able to use right away in their businesses, a marketing tool many will want to use to grow the return they achieve from their business. While this new facility will be copied, we doubt the copies will match the innovation we now have in beta.